DGSC assumes no responsibility for accidents, loss or exchange of personal property. 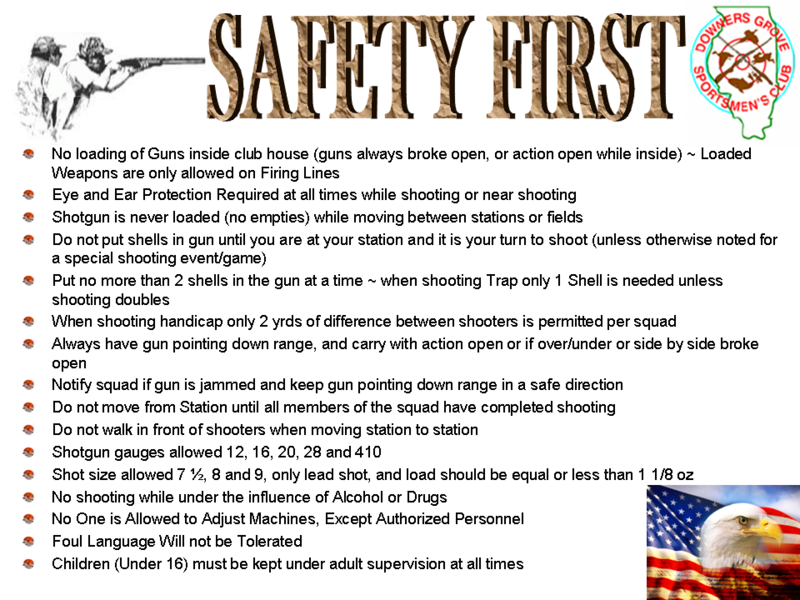 The DGSC Board/Directos reserves the right to refuse any shooter without explanation and refuse refund of shooting of anyone interfering with the harmony of shooting or breaking of safety rules. The DGSC Board/Directors also reserves the right to change, postpone or cancel any portion of an event in the event of conditions beyond our control.